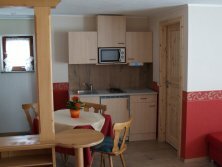 Our guest house Jägerhof is situated in the heart of the Black Forest near the border triangle Germany, Switzerland and France. 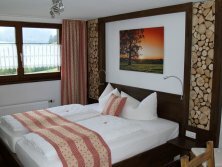 The Jägerhof is a typical Black Forest house with charm and lovingly furnished. Allow yourself to be inspired by the warmth and quiet location in the high valley of Bernau. The idyllic green meadows, simply invites to undertake motorbike tours, wonderful hiking or skiing excursions where you can enjoy the clear fresh mountain air and beautiful views. Discover the secrets of Bernau in any seasons of the year: The summer with its breathtaking landscape and the winter with its pristine snow scenery. Comfortable lounges with tile stove, sunny outdoor terrace with playground for the children or the blockhouse sauna with relaxation room invites to enjoy the delightful side of nature far away from the every-day-stress. However, what is most important for our place, is the fact that our guests, can enjoy their stay with special wishes and individual needs are completely satisfied. We hope to hear from you in the very near future and looking forward to welcome you as our guest. Enjoy the photos in our gallery as we take you on a virtual tour.